Oh, I fully intended to make my book/tea pairing posts at least quarterly, but at least we'll squeeze one in for the year! The title drew me in, because how many native New Yorkers must have said the same thing? I know I have - and I happened to visit that street in the course of my reading this book, because I wanted to say goodbye to The Sock Man before it shut down. Plus, death was very much on my mind in January - well, all year, but David Bowie...still not over it. Stupid 2016. Anyway, the street has been through many changes over the centuries, and I'm always eager for New York history. 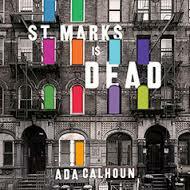 If you are too, and if you're frustrated by your neighborhood's changes, this could be a book for you. Pair a nice Moroccan Mint Tea from Porto Rico Importing Co., or any tea from their St. Marks location - I picked the Moroccan Mint because it's the first thing I bought there in the 90s, before I thought the street was 'dead'. This was also a tough year for my British fandoms: we were allotted maybe one episode of Doctor Who and Sherlock, and Downton Abbey came to an end. Bonnie is trying to get me into Poldark, and she will probably succeed. The Crown was pretty good, but it took til the autumn to get that, and man did I breeze through it! Thankfully I'm never done with books. I already like Dan Simmons as a writer, and I get a kick out of writers I follow penning their own Sherlock Holmes stories. I'm not as big on Jane Austen pastiches, which I suppose is because Austen, I feel, is a tidy writer. The story ends when the protagonists marry. Rarely do you need to go further than that - though Death Comes to Pemberley was okay. 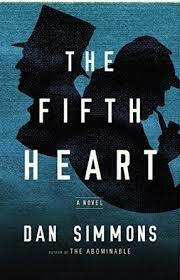 The Fifth Heart wasn't a perfect story, but it's set during Holmes' 'dead' period, so it's workable. He teams up with the hapless Henry James to investigate a suicide that might not have been a suicide, and we journey with them to America in the 1890s, where we meet other notables (not spoiling this)! and deal with an almost existential Sherlock Holmes. Yes, he believes he might be fictional. It's not my favorite Sherlock Holmes story ever, but I certainly appreciated it. I'm going to be predictable and pair this with Baker Street Afternoon Blend by Upton Tea Imports. It's perfect for any Sherlock Holmes story, even if it's thousands of miles from Baker Street. I can't get enough of Tom Cox's cat memoirs. When my family first adopted Cinnamon, and I was developing into a fully fledged Cat Person, I did what I do whenever I get into something - I read everything I can about it! My late teens are full of Beatles biographies, tea histories, and Cat Books. So many cat mysteries, and travels-with-my-cat stories. Most of these I remember fondly, but some were overly saccharine or corny, and I tend to approach cat books with caution now as a result. Thankfully Close Encounters is neither. The star of the show is The Bear, who I hear is semi-retired at 21, but whose sad, soul-piercing eyes draw you in from the cover onward. 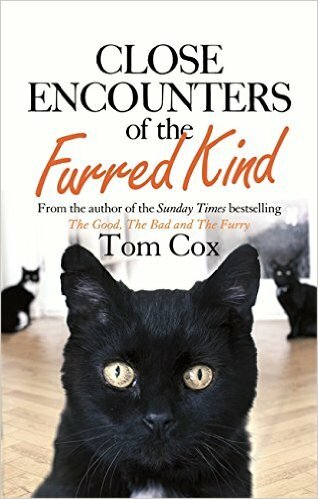 Mainly, though, I love a good laugh, and Cox manages to inject humour into every facet of his multiple cats' personalities. I'm going to recommend any herbal, woodsy blend, because read it and you'll understand. ...and I'm still reading Chernow's Hamilton.